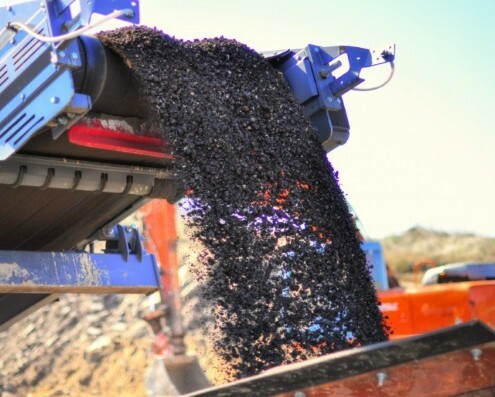 Custom Crushing Services SE Wisconsin | Asphalt Contractors Inc. If you have asphalt and concrete waste to dispose of at your job site, give us a call! We can bring our portable crushing equipment straight to you. Our service area includes areas throughout Racine, Kenosha, Walworth, Waukesha, and Milwaukee Counties. We have an experienced crew that operates our Terex Pegson 428 Trakpactor (state-of-the-art crushing equipment capable of crushing up to 3,000 tons per day). Our services will also minimize your trucking costs and help eliminate any landfill fees you would have occurred. If you are interested in a crushing price or would like more information, give us a call or contact us online! 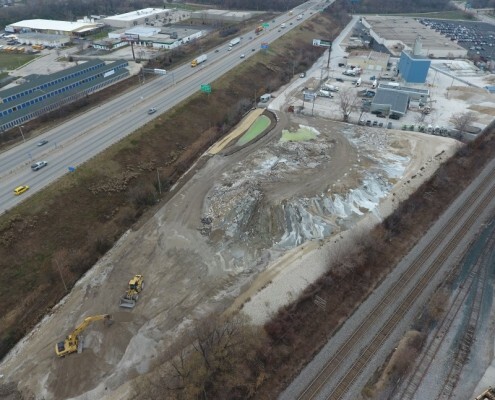 If you’d like us to handle the disposal and recycling of your asphalt and concrete waste – rather than bring our equipment to your jobsite – we’ll haul your waste to one of our crushing sites instead. Our original crushing site is located near our main office in Union Grove. Our New Crushing Site is located at 2791 S Chase Ave Milwaukee WI. If you need custom crushing services in or around the Milwaukee area, give us a call! We’d be happy to help. Asphalt Contractors Inc. recycles all of your concrete and asphalt construction waste. We have the capabilities of crushing and screening all types of aggregates. We specialize in asphalt and concrete recycling. Concrete crushing allows us to reuse the product which used to be considered landfill material. Asphalt is one of the most recycled products in our industry. Let us save you time and money with are experienced crushing operation. Contact Asphalt Contractors Inc. with an estimate quantity and location and we will provide an crushing price for you. We offer out of state crushing services.